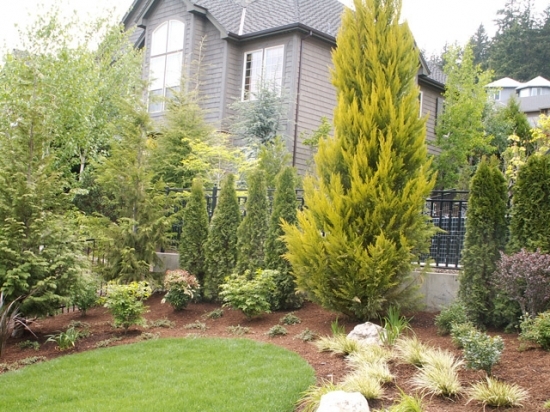 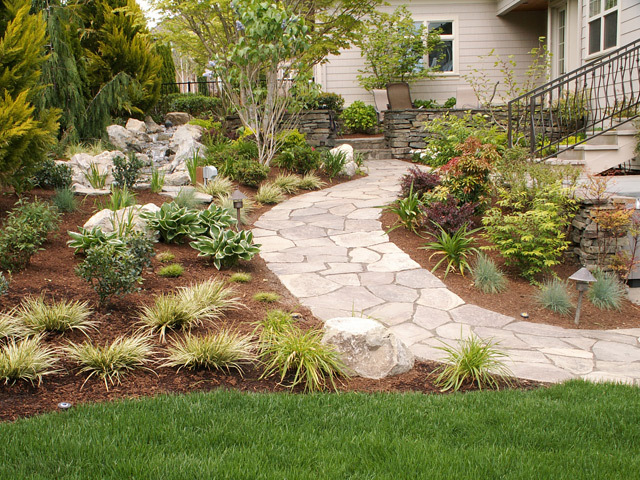 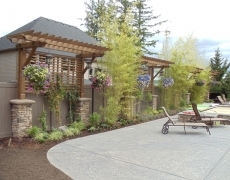 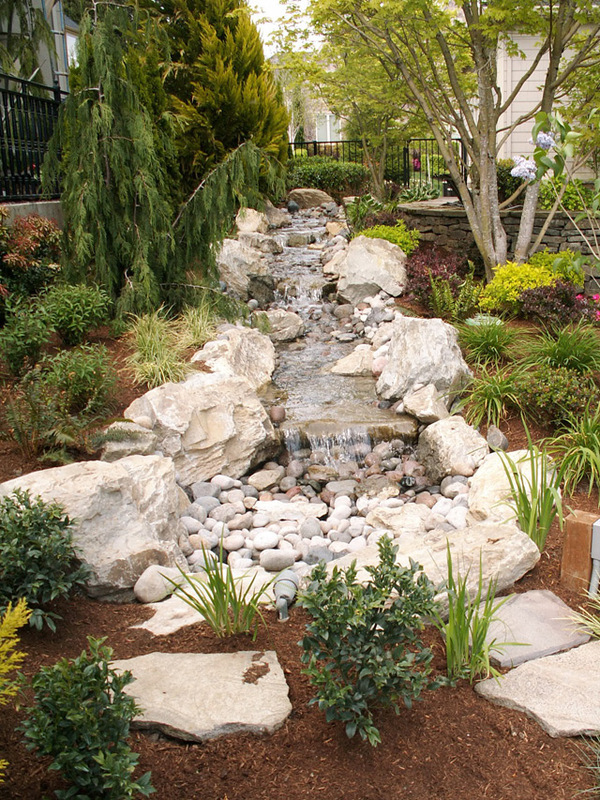 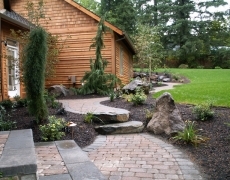 Lake Oswego Residence | Innovative Landscaping Inc. 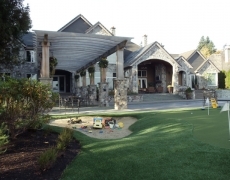 The owners of this beautiful Lake Oswego residence wanted their existing backyard landscaping reworked to make it more private and functional for their children. 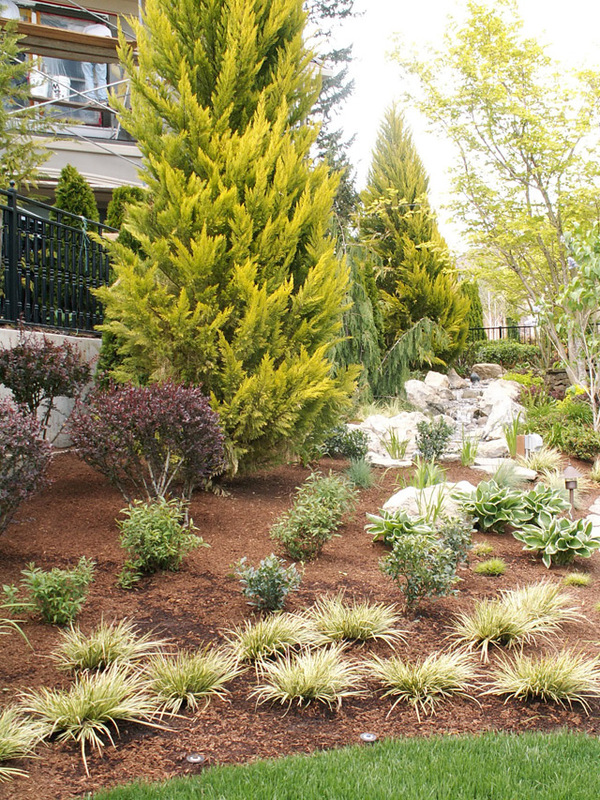 To accomplish that, we added a play area with rubber chips and drainage as well as multiple trees along the perimeter to increase privacy. 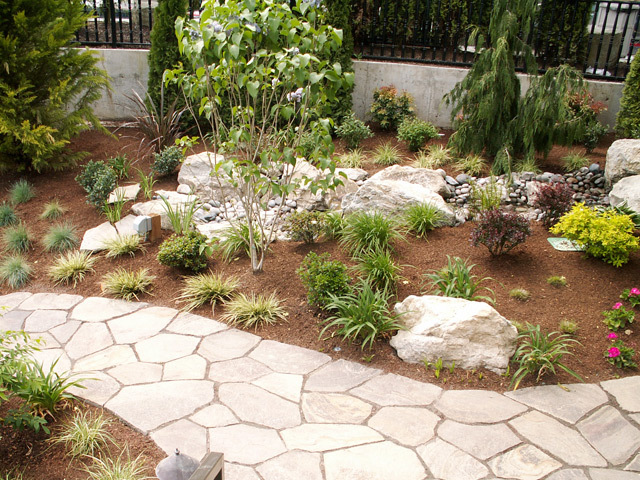 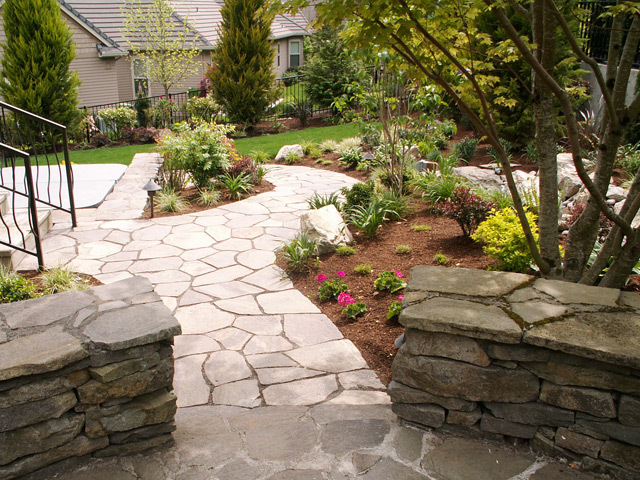 We also built a rustic basalt flagstone pathway to give the backyard a charming, pastoral feel and installed a beautiful water feature with a dry pond for child safety. An irrigation system, night lighting, ornamental fencing and numerous plantings rounded out this project.